You have a new member in-house, a tiny one who brings you a bundle of joy and happiness but also sleepless nights. As first-time mothers, it becomes difficult to figure out how to put your baby to sleep. Being parent is definitely not easy, and it takes a lot of energy. There are some excellent tips and tricks that will make the whole ordeal of putting your baby to sleep little less difficult with the help of best bassinet. If you are struggling to put your baby to sleep, this is the right place to learn some interesting and effective tips. With right ways, it is easy to put the baby to sleep. The baby posseses a certain reflex from the time of their birth that continues till 4th or 5th month during which they feel like falling off. This leads the baby to wake up suddenly after experiencing a shaking movement. This cannot be eliminated completely, but tight swaddle can prevent it. This helps in reducing the number of times the babies wake up with the startling feeling of falling off. 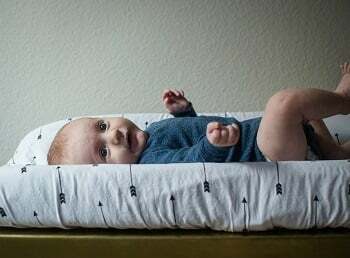 Some swaddles can be purchased from the market to help the baby sleep better. Tightly wrapping in a swaddling blanket is one of the most effective ways. Massage acts as a very important sleep simulator and helps the baby to sleep more peacefully and in comfort. It is important to identify the points that help in stimulating sleep in the babies and accordingly massage the points. A 15-minute bedtime massage is recommended for the toddler to fall asleep fast. Research even proves it helps in relaxing the muscle and calms the nerves. With the help of baby safe oil, the message can be done by gently and mildly running the fingers in gentle strokes. Baby pillow for flat head can also be used depending on the easiness of the babies. The babies are ever hungry, and for them to sleep peacefully, dream feed is one of the best options. It is the feeding given to the babies before the mother goes off to bed. This prevents the baby from waking up immediately after the mother goes off to sleep. This helps in putting off the baby to sleep and gives the mother ample rest without depriving of sleep. This also prevents the baby from waking up in the middle of the night hungry and crying. It is highly recommended to feed the baby before going off to sleep for uninterrupted sleep. Some essential organic oils are known for stimulating sleep. To put the little one to sleep, it is recommended to use a drop or two of natural lavender oil and place it near the bed on a tissue or handkerchief. This sends out the smell. The smell helps in calming the senses and helps the baby to nap better. However, it is not really recommended for someone who is below 6 months. This is something that might not work well with all babies. Do not put the oil on them directly but just place it beside the baby on the bed. The more the baby sleeps during the daytime, more they remain awake at night. It is not easy to keep a baby from sleeping, but sleeping for too long can disrupt their sleep cycle. It is recommended not to let the baby sleep for more than 2 or 3 hours during the day. After two or three hours, it is better to wake up the baby and feed him with milk. It is okay to let the baby sleep after intervals. 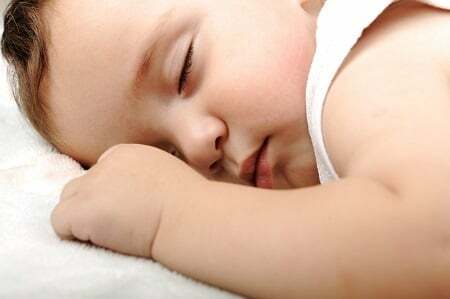 By breaking the sleep cycle of the baby during the day, it helps in promoting better sleep during night time. This is a process or cycle that you need to follow to help your baby sleep better and also stay healthy. In this cycle, the baby wakes up from sleep and play for a while followed by eating and sleeping again. This provides baby more energy to take full feedings this way. By feeding the baby immediately after it wakes up, it helps the baby to sleep better. This does not let the baby associate food with sleep and makes the whole napping thing easy and convenient. Feeding right before putting the baby to sleep prevents full feeding and leads to waking up. By putting on the same diaper for too long cause’s irritation in the babies as it causes uneasiness and rashes. The wet diapers are one of the major causes of waking up of a baby. It is always recommended to check for the diapers before putting it off to sleep. There are super absorbent night diapers that can be put to use with the babies. It is in fact recommended not to use a tight diaper at night as it causes discomfort. By using a dry piece of diaper, it helps in promoting better sleep. It is important to choose an effective and efficient routine for bedtime as it helps in inducing better sleep. It is important to follow a routine for the babies and choose a pre-nap routine. It includes closing the curtains, putting the baby to sleep in a cradle, turn white light, etc. With the movement of the cradle and light lullaby, you can helps in promoting better sleep in the babies. Other things are also included in the bedtime routine like little massage, swaddling, cuddles, etc. Following the same routine, every day helps the baby to fall asleep immediately. It is important to understand the things that make the baby sleep comfortably through best bassinet. Certain things are stimulatory for some babies to help them sleep but not for others. It is important to find out what stimulates sleep in your child. Find out the cues when he or she is tired; gently rub his head or eyes until it falls asleep. On understanding the cues of the baby, it helps in putting off the baby to sleep better without having to wake up in between.